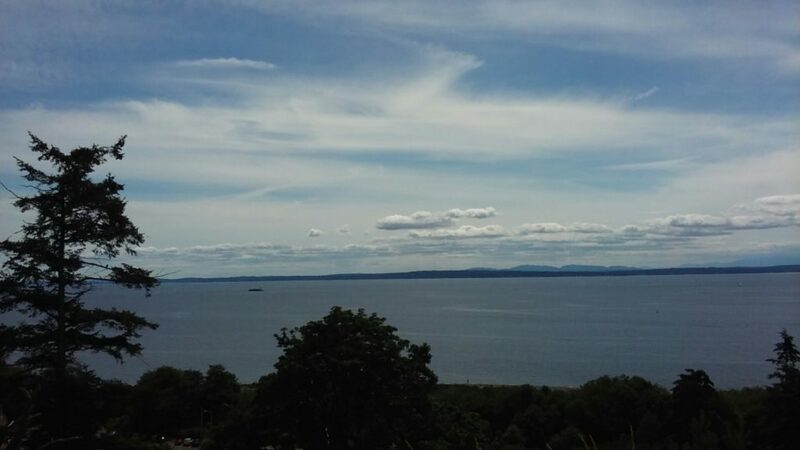 Posted on June 27, 2016 by No Map Required Posted in Places, United States, Washington	. After a bit of a haul in the job search and a little too much staring-at-the-screen time, Aaron and I woke up with the exact same thing in mind — let’s go on an adventure! Let’s get out of this place for the day! Just pack a pack and go! Where our wunderlust would lead us was anybody’s guess… it just felt like a Make It Work Moment and so once again we took time to be tourists in our own hometown! 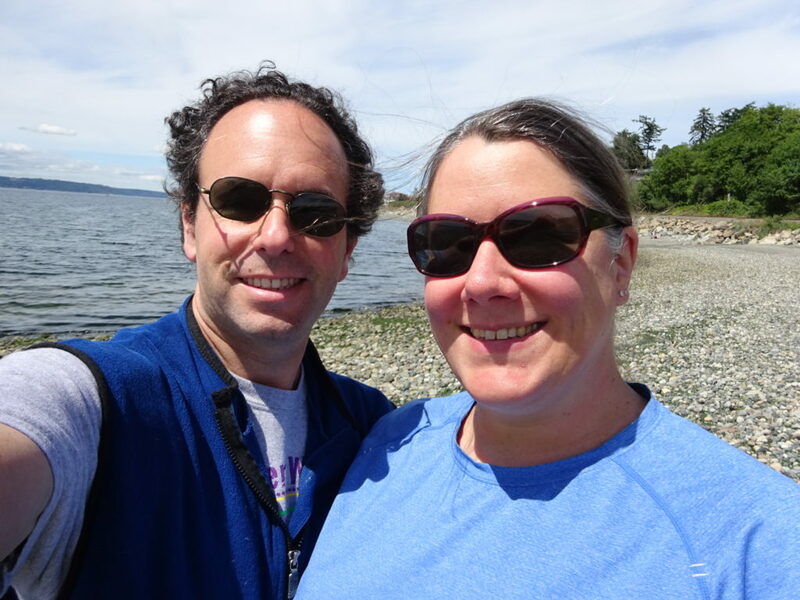 This day we headed to Richmond Beach Saltwater Park in Shoreline, Washington. It’s all of a 10 minute drive from home, but we’d never been there and let us just say…it’s a fine way to spend the day. I spy a beach day! 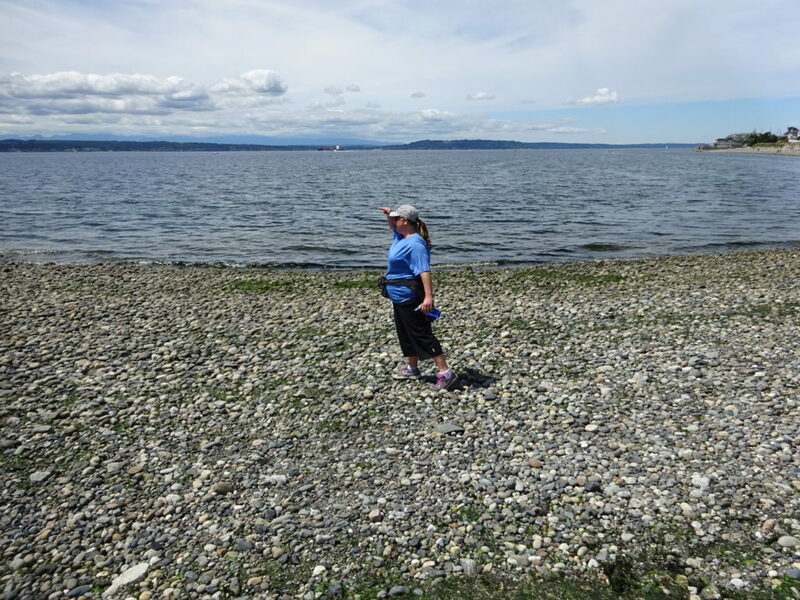 Hello Puget Sound, we never grow tired of you…or you, Olympic Mountains way across the way. As you can see, it was not exactly over-populated mid-day. This is more of a sunset beach, and I can understand why people flock here in the evenings to watch the sunset pour over the Sound. During the day it was a few families, a few joggers, a few dogs and a few old people holding hands. You know…just right. 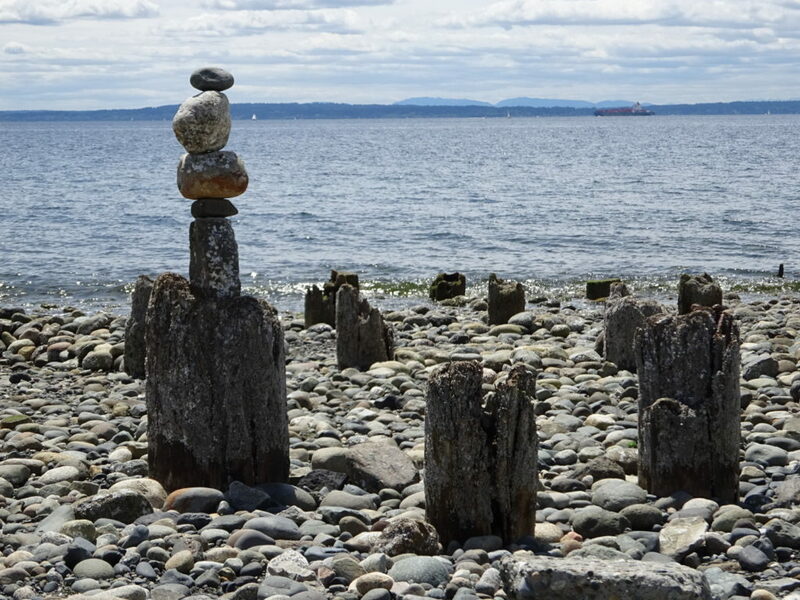 A whole lotta rock cairns. 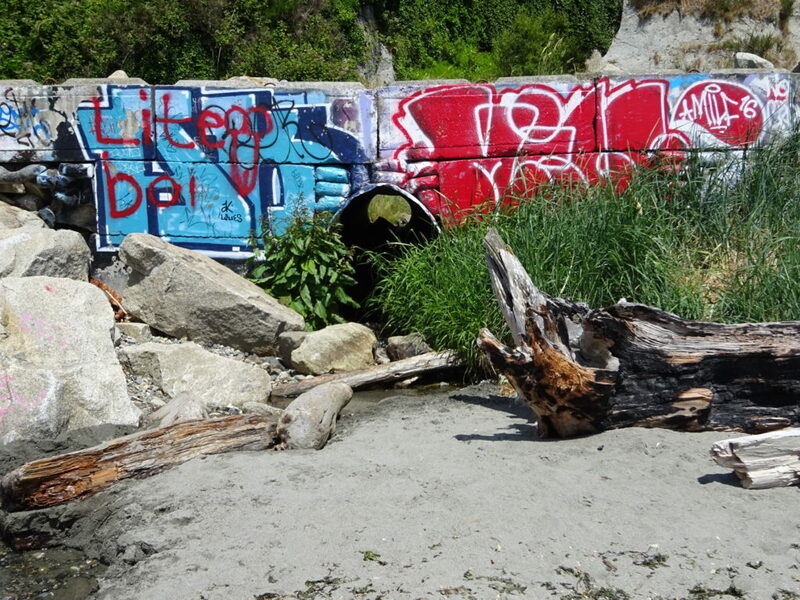 Great fun watching some tweener boys tide-pooling. They were SOOO excited as they turned over rocks and critters would appear. 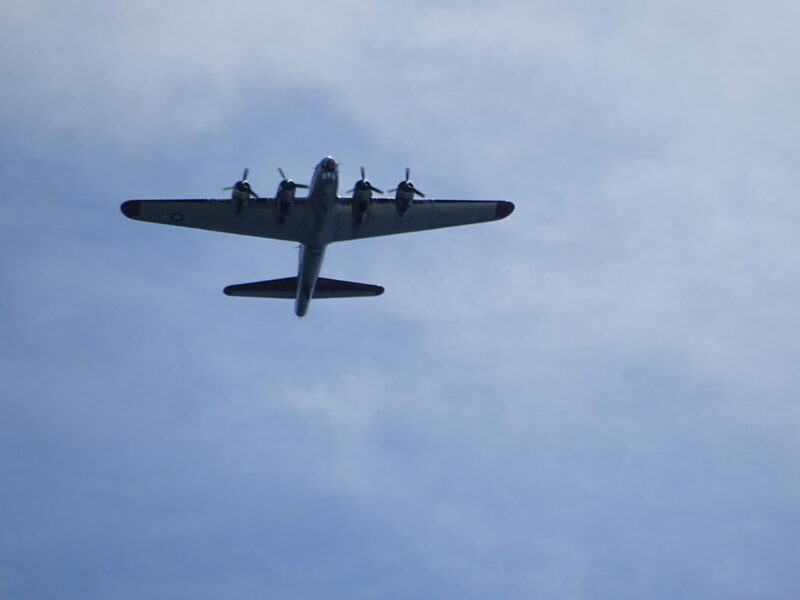 Saw quite a few of these old-timey planes flying overhead. Not sure what was going on, but they move so S-L-O-W compared to today’s jets. A good day for pups! 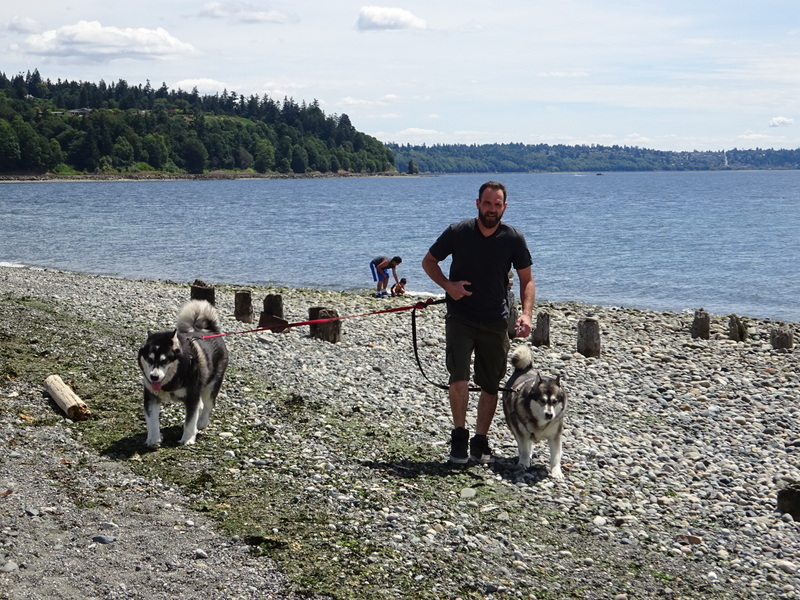 These big fuzzies were out for a walk. Their owner said, “If I had a buck for every pic”. That’s what happens when you have such handsome pooches! Per usual, Aaron found some tagging he couldn’t resist. 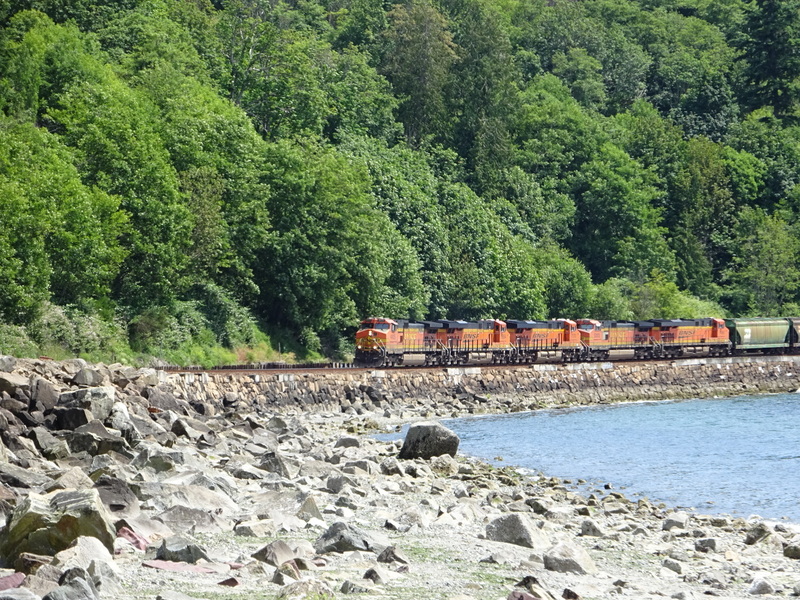 This train hugs the Sound…who wouldn’t want to ride that? Unfortunately this one is freight only. Yes. Yes, this will do. Man, there is no place like home. We also did a hill climb — 188 stairs with circuit equipment for exercising along the way while you take a break from steps. (We left the calisthenics to others). On the top of the stairs is a marker systems so you can keep track of how many times you do the stair climb! Kind of genius. Ahem… 1. After a few hours walking the rocky beach and climbing the hills, it was time to head back home, but ohhhh the drive….the connections…the lay-overs. Oh wait, no, it was about 10 more minutes and we were home making dinner. Sometimes it’s nice to be home again! But we’re already planning our trip back when we hope to double our stairs total! Just proving to ourselves we can still take a selfie. « A HONKing Good Time!